Japanese model sporting a chic winter streetwear style including a faux fur jacket in Harajuku. A 6%DokiDoki shop staff sporting a colorful kawaii streetwear look with rainbow unicorn hair while out and about on the Harajuku street. Japanese variety shop owner sporting a striking streetwear style with rainbow hair and makeup. 6%DOKIDOKI staffer wearing kawaii street fashion in Harajuku. Harajuku girls sporting stylish streetwear ensembles with leopard print coat and shearling jacket while out and about on the street. 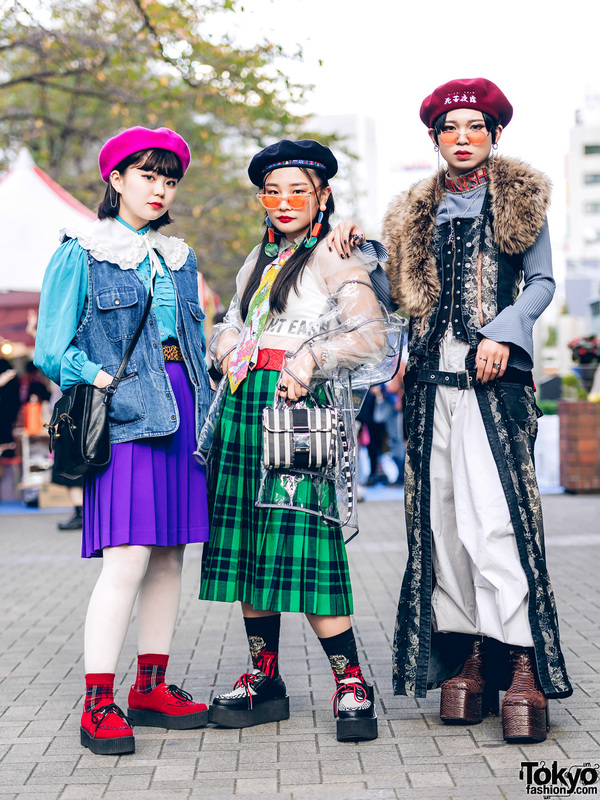 Japanese teenagers wearing vintage street styles in Harajuku. Japanese students wearing stylish streetwear ensemble while out and about on the street in Harajuku.